Tapping is a technique used to heal emotions. It’s also known as EFT (Emotional Freedom Technique) and was brought to people’s attention in the 1980s and 1990s by Gary Craig. It is based on the original technique developed by Roger Callahan called TFT (Thought Field Therapy). When you use Tapping, it frees you from negative emotions tied to limiting beliefs, fears, and old memories that keep you from what you want. Once you clear these with Tapping, the blocks are released and you have the emotional freedom to make good things happen. I use Tapping to work with Entrepreneurs and business people who want more financial and business success. They aren’t earning the amount of income they want, their savings is small or their debt is much too high and they lie awake at night worrying about all of this. This technique is needed for these areas because people don’t act logically when it comes to their money. You can get very emotional even if you aren’t aware of it. 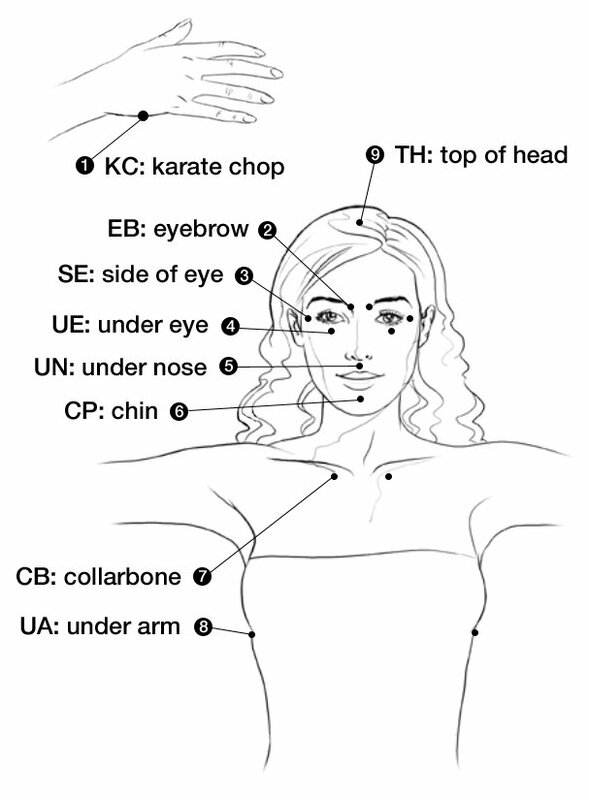 It was found that if you use acupressure in the form of tapping lightly with your fingertips on acupuncture points, you can shift unconscious beliefs and negative emotions that block you from getting what you want. Medical doctors now recognize that our bodies have a kind of electrical system that flows through it. In Eastern philosophy this is called the “meridian system” and the energy is called “chi.” When the chi flows as it should along the meridian, it keeps your body in a natural state of well-being. Tapping on these points help clear energy blocks and get chi flowing in ways that help restore your well-being. In Western medicine, when you start Tapping on specific acupuncture points, you can actually flip a switch and turn off a reaction to something you’re thinking about, which could be a memory, something that scares you, your bills, or something that makes you angry or sad. Tapping disconnects the thought from the autonomic nervous reaction in the body which means all the negative emotions release and get calmer. At a physiological level, it calms the sympathetic nervous system responsible for the stress response and turns on the parasympathetic nervous system responsible for the relaxation response. I love Tapping because it’s simple and easy to use. You can’t mess it up by tapping on the wrong point. It doesn’t matter…. Enjoy!